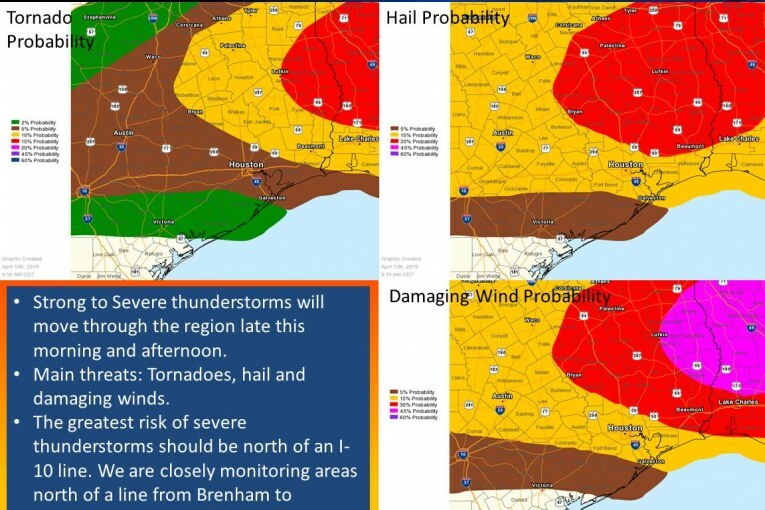 Potential for severe weather still exists and looking at mainly north of an I-10 line with a higher risk farther north. 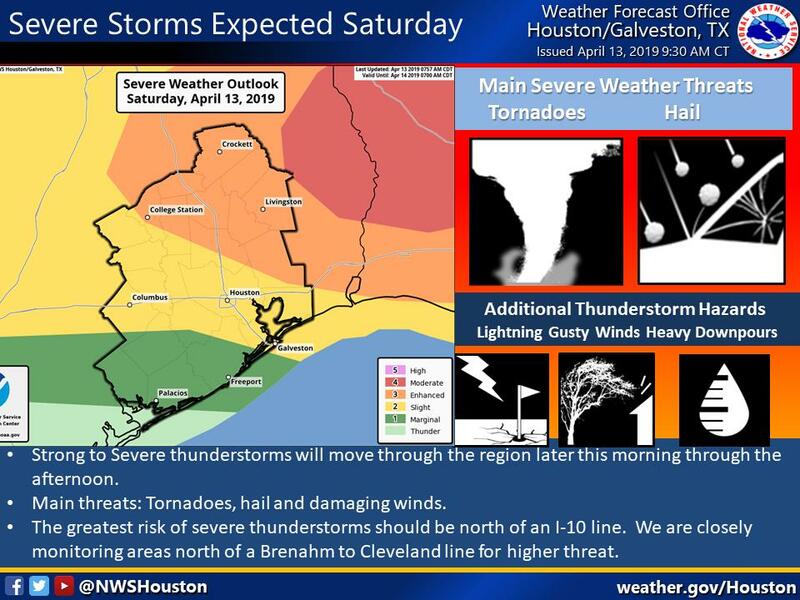 Higher risk exists north of a Brenham to Cleveland line. SPC is showing some higher probabilities in this area for tornadoes and hail. Strong storm system west of the area should move NE across TX today. This should increase the threat for severe weather across the area from 11AM through 5PM today. 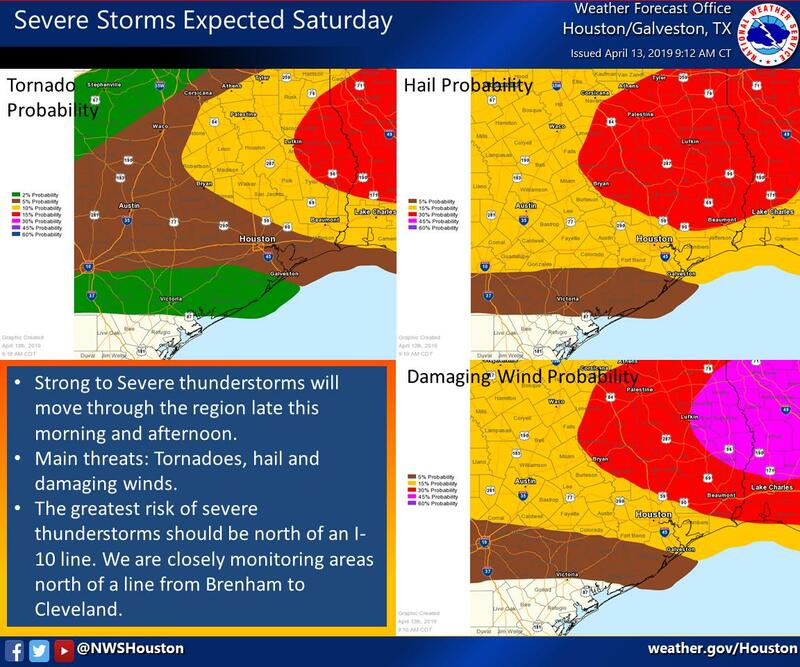 Greatest threat north of I-10 with greater risk farther north mainly north of a Brenham to Cleveland line. SPC has some higher threats of tornado and hail. Graphics below break down the overall threat and then the probability for each hazard. Severe weather watches have been posted west and north of the area so watches could be issued for our area later this morning through the afternoon.